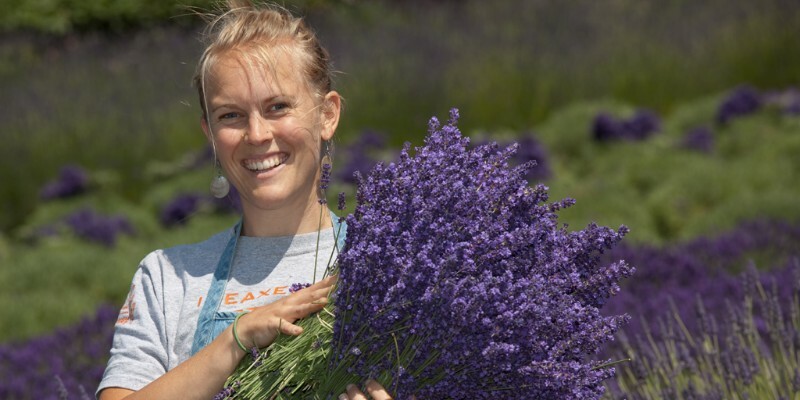 Planting and growing lavender in your garden can be fun and rewarding! 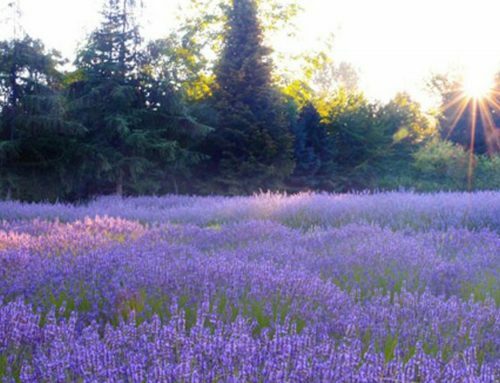 Growing lavender will bring many benefits to the gardener and garden alike. The lavender plant has a very aromatic flower with a soothing scent, and beautiful blue-violet buds. 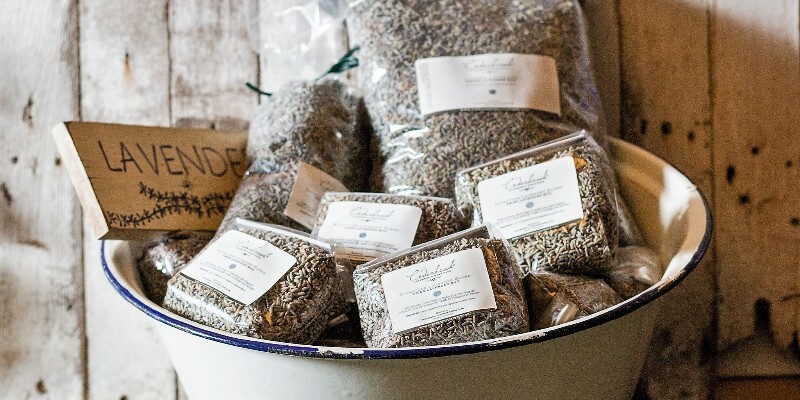 Once you get a whiff of fresh lavender you’ll understand why it is such a wonderful plant to have in your garden. 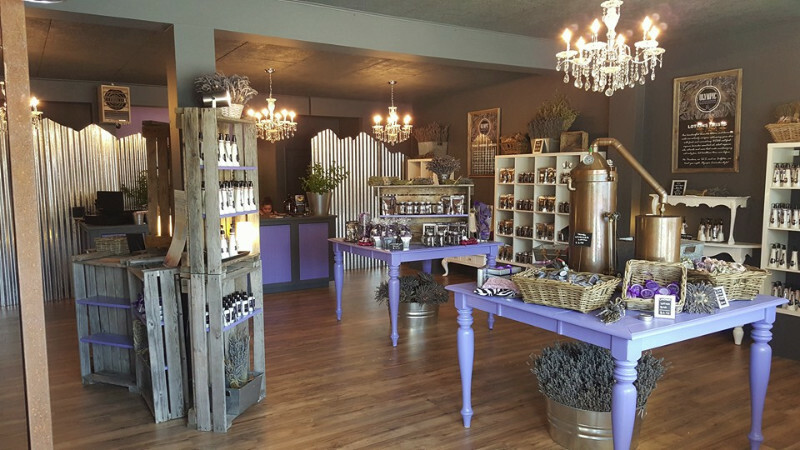 Not only is lavender desirable for its pleasant scent, but it attracts bees for pollination and provides delicious lavender honey for the table. 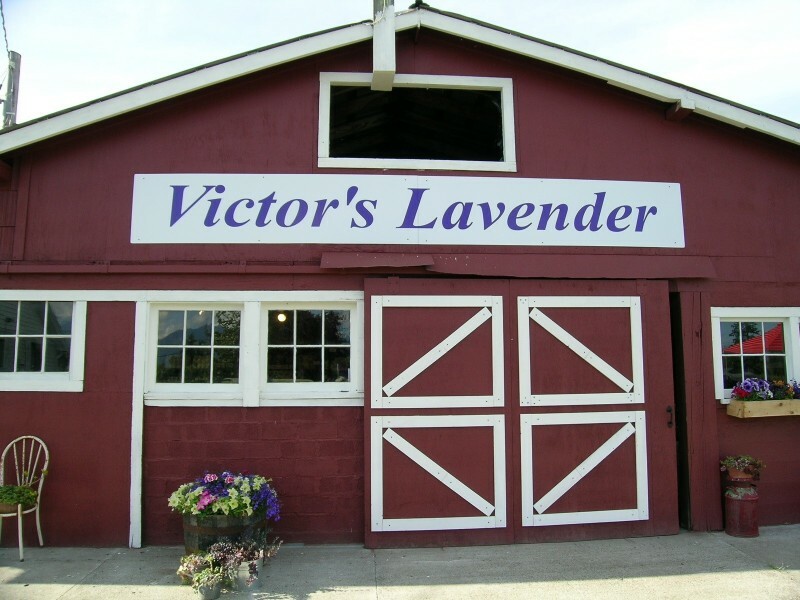 At the same time we have found that it also repels mosquitoes, flies, fleas and moths around the inn and farm here at Washington Lavender Farm. Even the deer leave lavender alone for everyone to enjoy. There are also many informative books about growing lavender, and we strongly recommend that you spend some time learning all about this beautiful and versatile plant. Here are some basic guidelines to follow for planting lavender and taking care of healthy, long lasting lavenders. 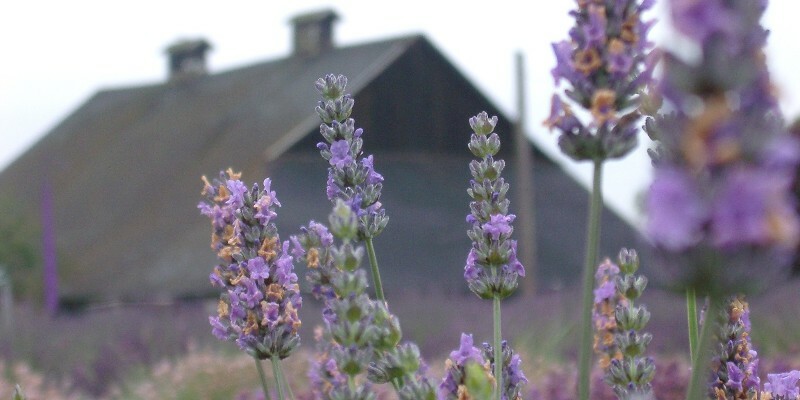 Lavender prefers a light, well-drained, sandy soil with a pH factor between 6.0 and 8.0. If your soil is either too acidic or too alkaline your lavender will not thrive. A quick test of your soil pH is usually well worth your time. Lavender loves full sun and cannot tolerate wet roots. 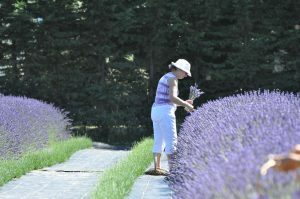 When choosing a site for your lavender, it must be in a location in your garden with good drainage and plenty of sun. Your soil should be well-worked, well-drained, and loose enough that you can dig it with your hands. 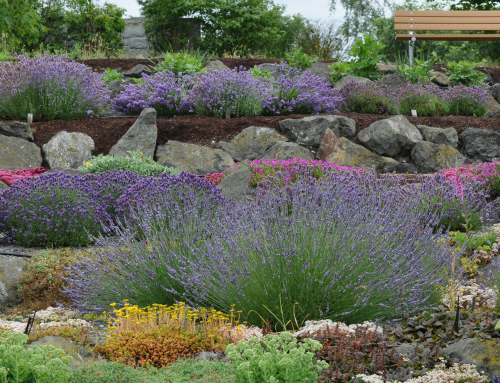 If you have heavier clay-based soils, we suggest planting lavender on mounds or raised beds and incorporating crushed granite, pea gravel or sand. Tilling in composted material prior to planting will help to promote aeration. Adding lime to a heavy soil will increase the pH level, allowing the soil to crumble. 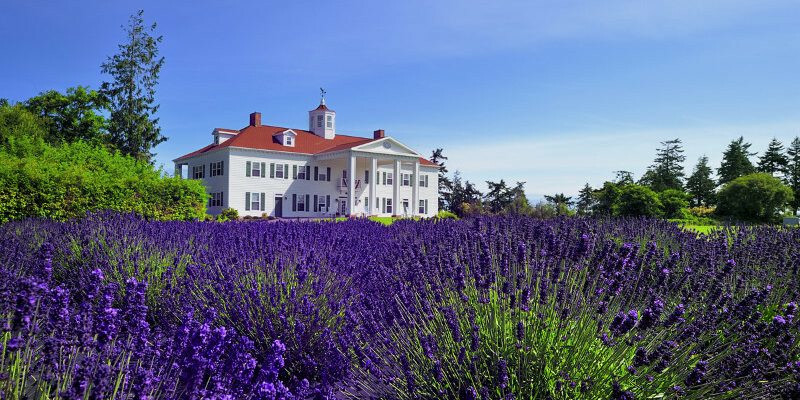 When purchasing your lavender, be sure to select a variety that fits well with your landscape. 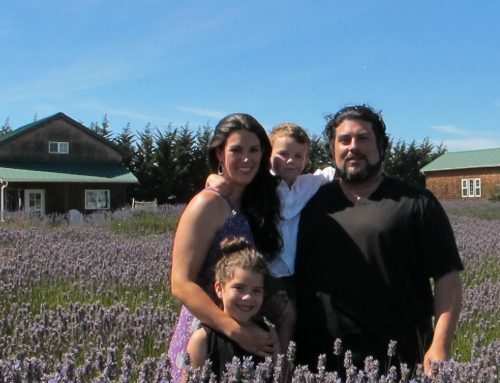 Lavender comes in a variety of sizes from compact (15-16”) to large (over 6 feet) when mature. It also comes in many shades of purple, blue, pink and white. Be sure to allow plenty of room for plant growth. We also recommend that you space them 3.5 feet apart (more for the larger plants). When planting lavender, first trim off all the flowers. Do not allow your plants to flower the first year as your objective is to promote excellent root growth and full foliage. Remove your plant from its pot and carefully spread its roots. Dig a hole large enough to easily accommodate the spreading roots. Fill the hole with water then let it fully drain. Place your lavender plant in the hole and fill the hole with properly prepared soil. Spread approximately 1 cup of bone meal or blood meal around the base of your plant, gently working it into the soil, and thoroughly water once more. 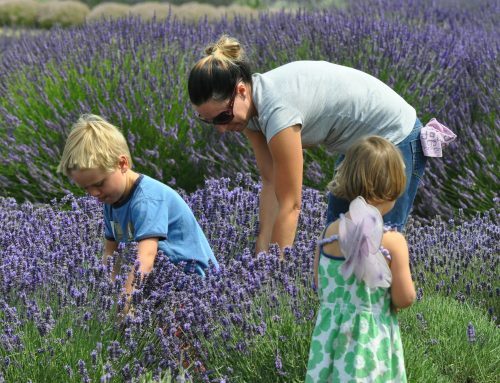 Feeding your growing lavender plants will help to produce large and beautiful flower heads. Young lavender plants need to be monitored carefully for any sign of dryness. Usually the first recognizable sign is that the flower heads begin to droop. During your first year of planting lavender, make sure your plant has adequate water; but at the same time, be careful not to over water – remember to watch your plant and learn its needs. Try avoiding overhead watering when plants are in bloom to prevent breaking down the foliage. Growing lavender is actually quite easy.